This recipe comes from February. 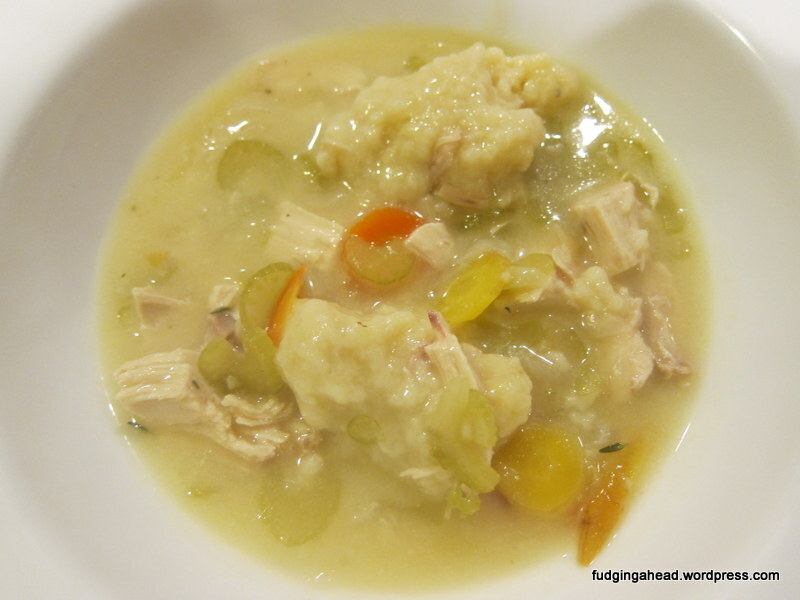 I came across a recipe for chicken and dumplings that looked interesting. When I went back on my blog to look at the recipe I made before, well, I realized I must have never written about it. I can’t find it! Oops. I definitely made it well over a year ago, so it’s not like I just haven’t caught up to it, I just skipped it, I guess. Well, I had mostly followed a recipe so I looked at it to compare to the new one. I ended up making my own version that we really enjoyed. My first one had used heavy cream in it. This one actually tastes creamier without it. I go a bit heavier on the vegetables since I like this to be a one-pot meal. I also like extra dumplings so I upped that amount. As far as the dumplings go, I have seen dumplings that are a bit more biscuit like and some that are fluffier. These are a bit more fluffy and soft. They are not dry at all. Something I’ve been into lately has been using my food processor whenever I can make work easier for me. 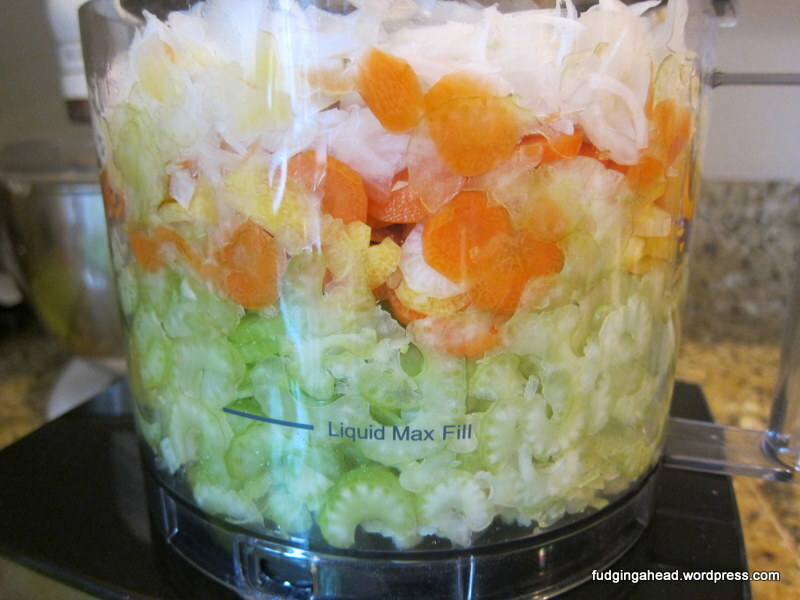 For this recipe, since the onion, celery, and carrots get added all at once, I just chopped them all at once in the food processor. So easy. The amount of time to clean the processor is still so much faster than chopping a large amount by hand. I also like that they chopping is more uniform than I could do by hand. In a Dutch oven, melt the butter and add the onion, celery, carrots, along with some salt and pepper, and the thyme. Cook over medium heat, stirring occasionally, until the vegetables have softened (about 7-8 minutes). 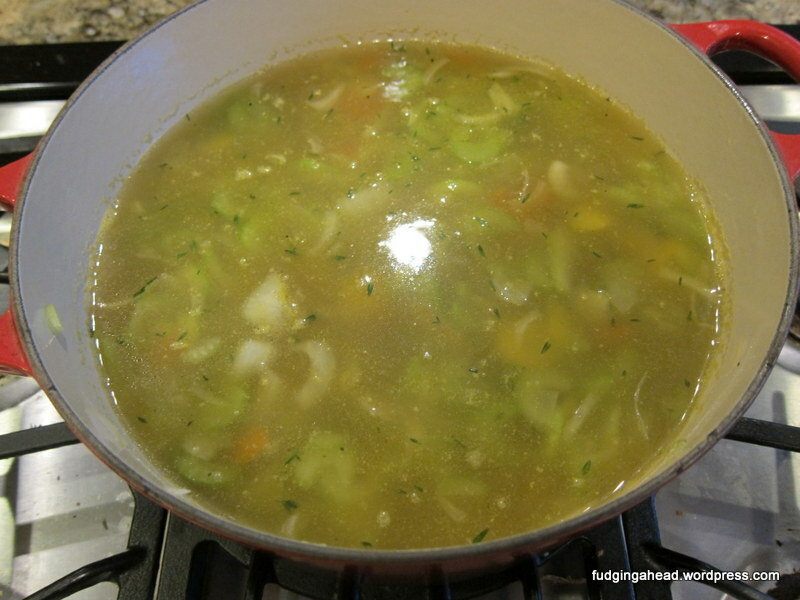 Add the chicken broth and water, then simmer for 10 minutes until the vegetables are tender. Meanwhile, prepare the dumpling mixture. Whisk together in a large bowl the flour, baking powder, salt, sugar, and pepper. 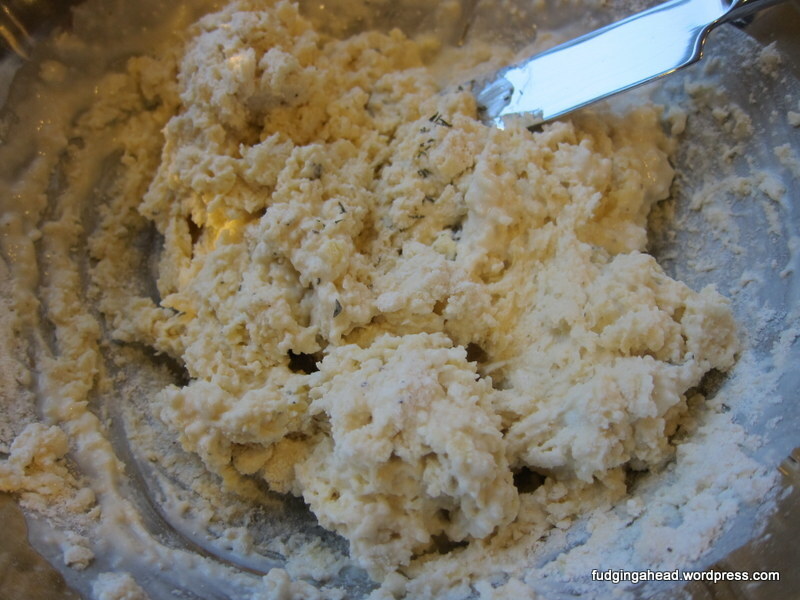 Use your fingers to crumble the butter and shortening into the mixture. Stir in the half-and-half. 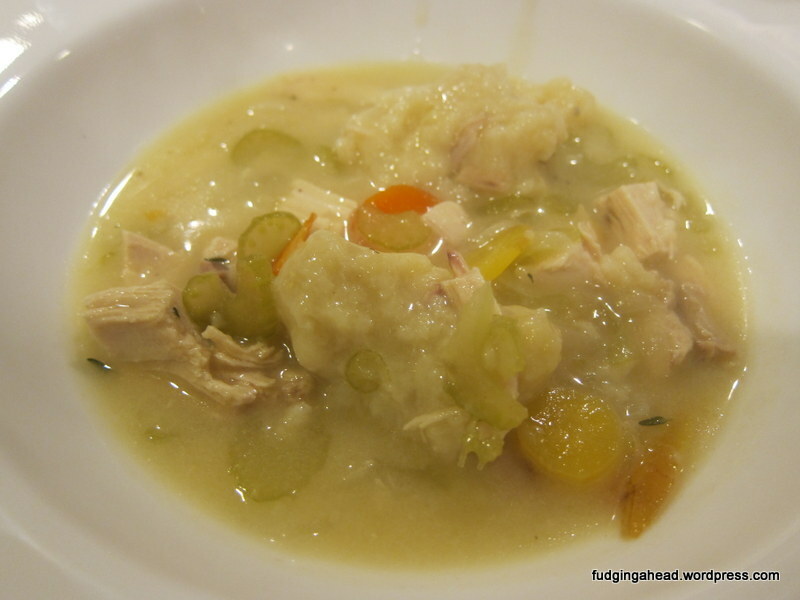 When the vegetables are ready, stir in the cooked chicken and reduce the heat to medium-low. 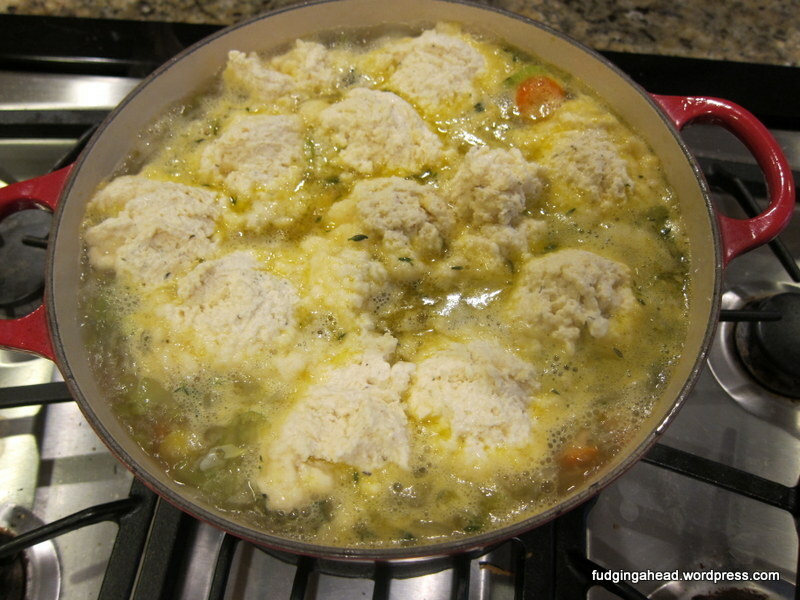 Use a large cookie scoop or spoons to drop golf ball-sized dumplings on top of the soup. Space them out evenly on top. Cover the pot and simmer for 20-25 minutes. Do not peek until the 20 minute mark. The dumplings should be firm and slightly dry on top. Serve! 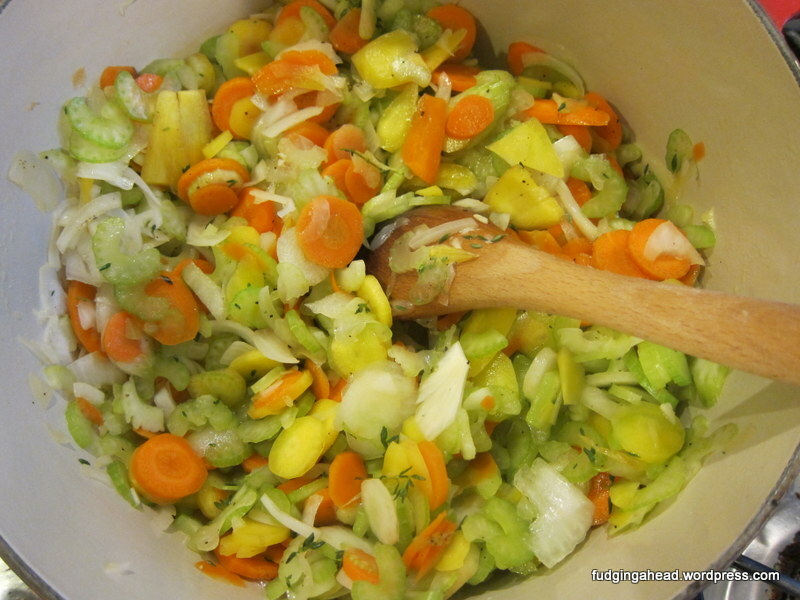 In a Dutch oven, melt the butter and add the onion, celery, carrots, along with some salt and pepper, and the thyme. Cook over medium heat, stirring occasionally, until the vegetables have softened (about 7-8 minutes). 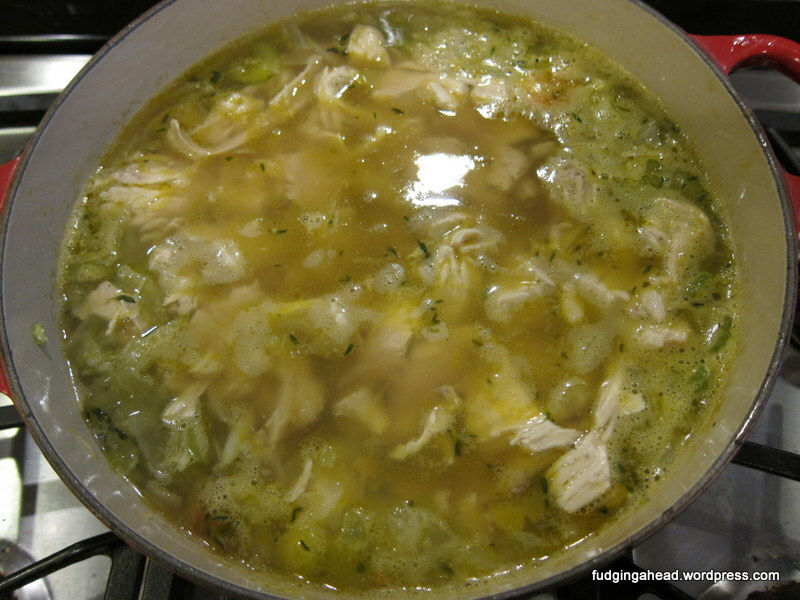 Add the chicken broth and water, then simmer for 10 minutes until the vegetables are tender. When the vegetables are ready, stir in the cooked chicken and reduce the heat to medium-low. 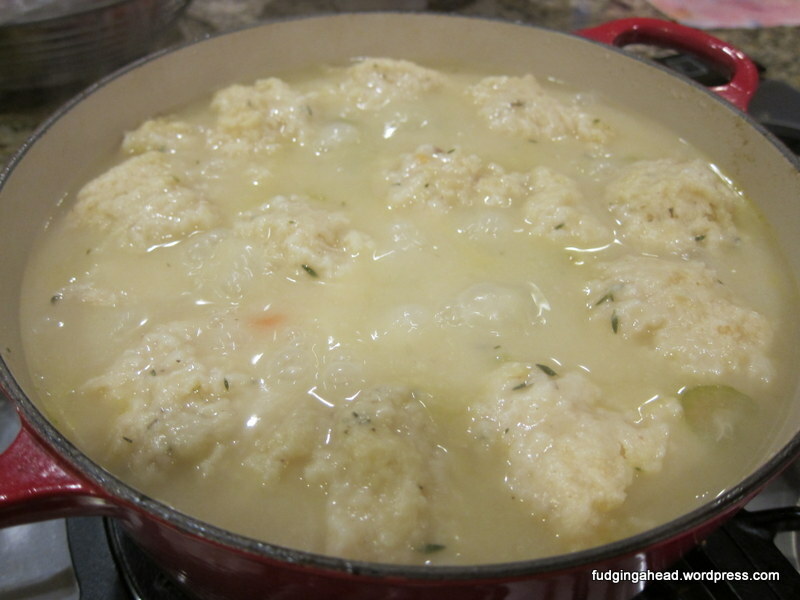 Use a large cookie scoop or spoons to drop golf ball-sized dumplings on top of the soup. Space them out evenly on top. Cover the pot and simmer for 20-25 minutes. Do not peek until the 20 minute mark. The dumplings should be firm and slightly dry on top. Serve!